Christine McPherson (Saoirse Ronan) prefers to be called “Lady Bird.” It’s her given name, she insists — an act of defiance to distance herself from her roots. As she says, “It’s given to me, by me,” which is probably my most favorite line and you’ll soon know why. Lady Bird is a refreshingly honest portrayal of the most crucial years in a teen’s life and shows how our lead character grows right before our eyes. 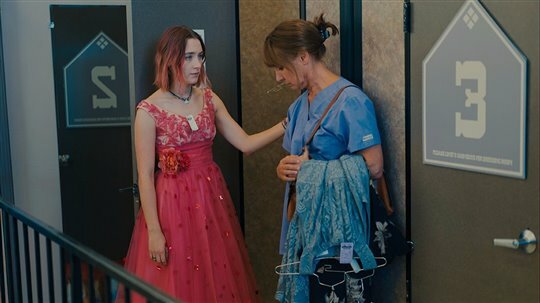 Right from the opening scene, audiences are drawn to the sincere, dysfunctional and oftentimes hilarious mother-daughter relationship between Marion (Laurie Metcalf) and Lady Bird (Saoirse Ronan). The opening scene is one of the best as we see Marion and Lady Bird on the road to scope out colleges. The duo are teary-eyed after listening to The Grapes of Wrath audiobook. Then they get into a heated argument. Lady Bird hates Sacramento and wants to go to New York for the culture. 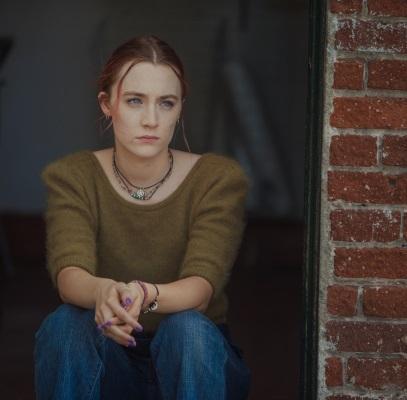 Her mother casually chimes in, “You won’t get into those schools anyway” and further remarks, “With your work ethic, you should just go to city college, then to jail and then back to city college…” Lady Bird opens the door and jumps out of the moving car. And just like that, Greta Gerwig, the writer and director of the film, wins us over. Set in 2002/2003, the film takes us through Lady Bird’s journey at her final year at a Catholic high school where she joins the theater group with her best friend Julie (Beanie Feldstein). Just like a regular high school drama, we see Lady Bird struggle with math tests, college admission applications and homecoming. She also starts dating Danny O’Neill (Lucas Hedges), but when that fizzles, she falls for cool guy Kyle (Timothée Chalamet). Oh, and she ditches her best friend for the popular girl in high school. Cliché? No, the delivery by the actors and the well-written lines are what sets this film apart. All the while, we also see scenes with Marion and Lady Bird as they get into heated debates about all things big and small. It’s the heartbreaking mother-daughter relationship that’s at the center of the story. Lady Bird wants to move away from her home and parents. Like every teen, this universal need is well-depicted in the emotionally-charged (and entertaining) arguments. But Marion doesn’t make things easy for her. She’s very critical, demeaning and a realist struggling to work double shifts since her husband lost his job. They can’t stand each other, yet are devastated at the thought of separating. It’s a heartbreaking yet captivating depiction of their unending love. The audience is easily swayed for sympathy as both mother and daughter are equally flawed. Laurie and Saoirse play their roles to a tee, not missing a single beat. I thought I had seen Saoirse’s best work with Brooklyn, but she knocks it out of the park with this one as she dauntlessly channels Lady Bird. I was definitely surprised at how she effortlessly dove into this rebel’s shoes. It felt like the lines were written for Saoirse. Laurie also gives an applause-worthy performance, perhaps taking her right to the Oscars. Click here to watch our interview with Greta Gerwig. If you have seen the movie and would like to review it, click here. If she is as good in Lady Bird as she was in Brooklyn, this movie will be very worth watching. Similar to Rob Reiner’s LBJ movie. Following the cancellation of 'Roseanne,' there is talk of a spin-off series featuring Sarah Gilbert's character Darlene, but Roseanne is not happy about it.